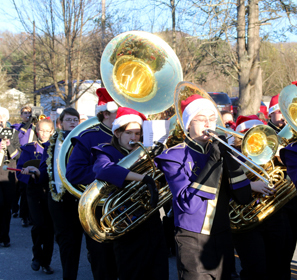 The Holidays are the perfect time to come to Blairsville! From craft markets to caroling, tree lighting, parades, and more, a mountain holiday experience is sure to get you and your family in the spirit of the season! Visit the beautifully decorated trees and wreaths in the Union County Community Center all December long. It's a great place for family photos, or you can get inspired for your own holiday decor! Tour of Trees is open daily from December 1 - 31, 9 am - 5 pm. 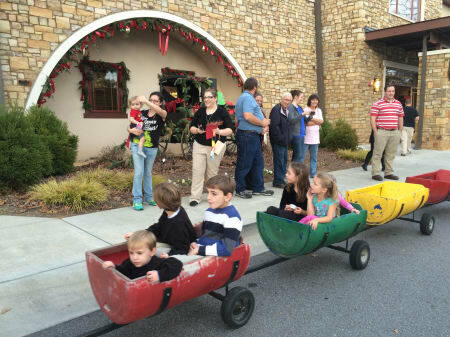 Get your Christmas tree, have pictures made with Santa, and more at Southern Tree Plantation! Other Christmas fun at the farm includes a petting farm, wagon rides, pony rides, marshmallow roast, playground, train ride, concessions, and more. These family-friendly holiday activities only happen on weekends, and trees are only available while supplies last, so check their website and social media before you make the trip. Musical performances, children’s activities, refreshments, & photo ops with Mr. & Mrs. Claus! Be sure to check out our Winter Itinerary for more things to do, and make sure to visit our Accommodations page to book your stay in Blairsville.